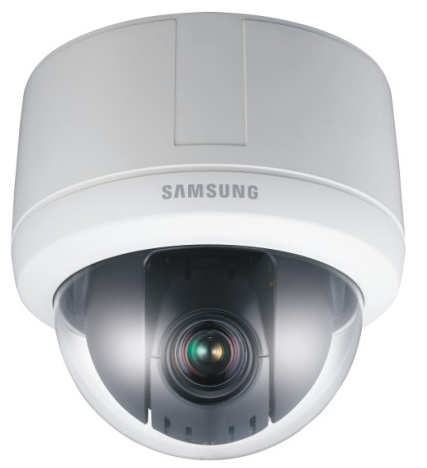 The Samsung SCP-2120 High-resolution PTZ Dome Camera with 1/4" Super HAD CCD image sensor and varifocal lens, delivers clear images in various environments and offers resolutions up to 600TVL (color mode) and 700TVL (B&W mode). In addition to 12x optical zoom, the camera offers 16x digital zoom, offering a total of up to 192x zoom power. A minimum illumination of 0.2 lux makes the camera suitable for night time surveillance. Along with 650°/sec high-speed pan and tilt operation, this camera features 360° endless-panning and -5° to 185° tilting ability. The dome camera is also capable of storing up to 255 preset positions. Featuring SSDR, the SCP-2120 camera balances the overall brightness by illuminating the darker areas to the same ratio as the bright areas, and produces clear images under high-contrast lighting conditions. The high-resolution camera with Day/Night ICR function switches between color and B&W as per changes in ambient lighting, ensuring accurate color reproduction in daylight and enhanced B&W images at night. Automatic gain control adjusts the signal strength to maintain a constant brightness level, and auto white balance adjusts the red and blue signals by taking a standard white color reference to get the most natural colors. The Samsung SCP-2120 has many exciting features for users of all types. See the Samsung SCP-2120 gallery images above for more product views. 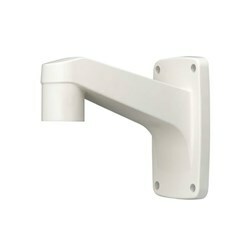 FactoryOutletStore stocks a full line of accessories like Wall Mount Bracket for the Samsung SCP-2120. The Samsung SCP-2120 is sold as a Brand New Unopened Item.